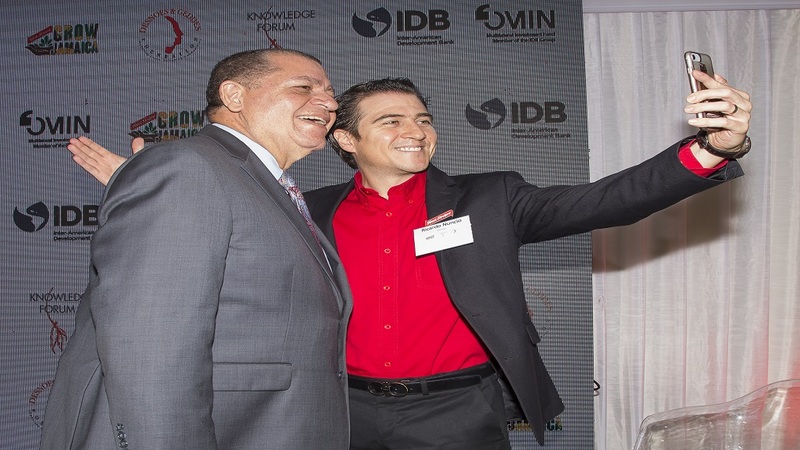 Agriculture Minister Audley Shaw (left) shares a selfie with Red Stripe Managing Director Ricardo Nuncio. With the agriculture industry undergoing structural changes, stakeholders are now called to find innovative ways to operate lucrative businesses. 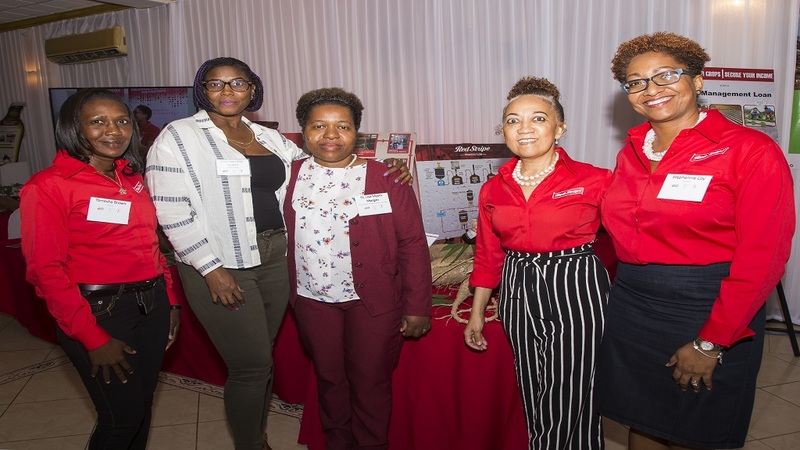 To discuss these opportunities, Red Stripe hosted a Knowledge Sharing Forum that brought together industry leaders to explore linkages between the agriculture and manufacturing industries. The discussions focused on the importance of stakeholder collaboration to produce value-added products as well as the significance of key players committing to the creation of a sustainable and viable value chain that will bring mutual benefits. Using cassava as a case study, the forum also highlighted the social and economic impact of stakeholder partnerships in an integrated agriculture and manufacturing system. 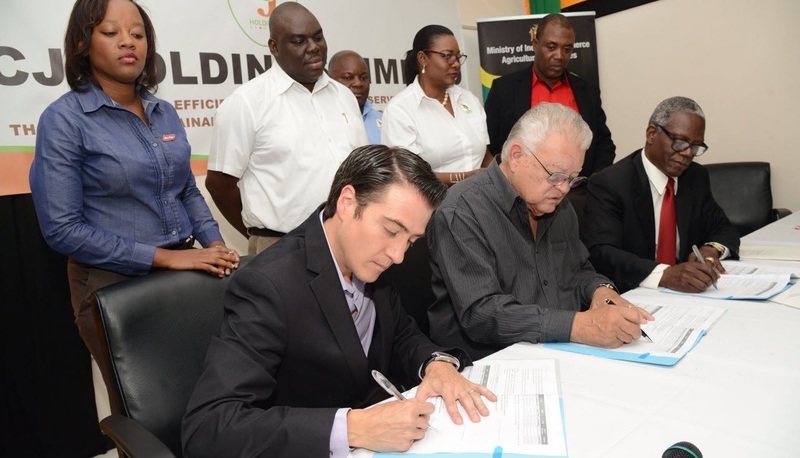 Red Stripe Managing Director Ricardo Nuncio highlighted the Ministry of Agriculture as a key partner without which the company’s local raw materials sourcing initiative Project Grow would not have achieved success. “Not only did the Ministry offer leases for the land for cultivation they also provided the expertise that was critical to the process,” explained Nuncio. Local experts say there is untapped potential in cassava cultivation that can open windows of opportunities for persons in the manufacturing and agricultural sectors. At last Wednesday’s forum, dubbed ‘Beyond Talk: The Commercialization of the Cassava Value Chain’, presenters argued the case for cassava, declaring that were still many benefits to be reaped once a feasible model is created. Principal Research Director at the Ministry of Industry, Commerce, Agriculture and Fisheries, Dr. Lisa Myers-Morgan also echoed the value of producing more cassava. For 65-year-old manufacturer Edna Edwards, an avenue of opportunity for cassava is finding innovative ways to increase yields. As manager of a bammy factory in Flower Hill, St James she shares that there is a high demand for the product, however, she faces difficulties in sourcing cassava because farmers are not planting the crop. 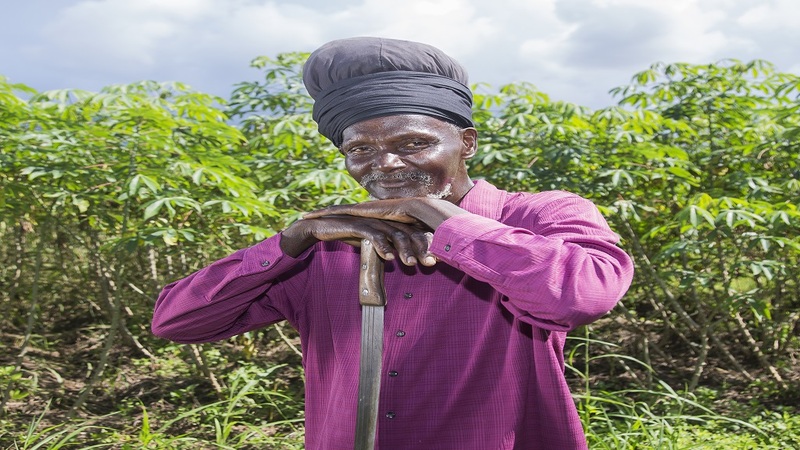 Leading the charge in encouraging farmers to cultivate cassava is brewing giant Red Stripe through Project Grow, which seeks to incorporate the crop into its value chain. By 2020, the company aims to increase to 40 per cent the volume of locally grown cassava in the production of its malt, beer and stout beverages to replace high maltose corn syrup. Through this venture the company sources cassava from farmers through its outgrower programme and also recruits young people for its Learning for Life programme, providing them with training and employment on Red Stripe operated farms. To date, the beer company has over 2000 acres of land cultivated by 100 young persons and more than 120 third party farmers who are engaged in ongoing training activities to ensure best practice and to produce the highest quality crop. Some farmers who have benefitted from the outgrower programme are members of the agricultural agency, Bright River Cooperative Society Limited. Many of these persons were sugar cane farmers but lost income with the decline of that industry. As such, they saw cassava as an object of hope and enlisted in the Project Grow programme. Now, more than 60 members of the agency are growing cassava. 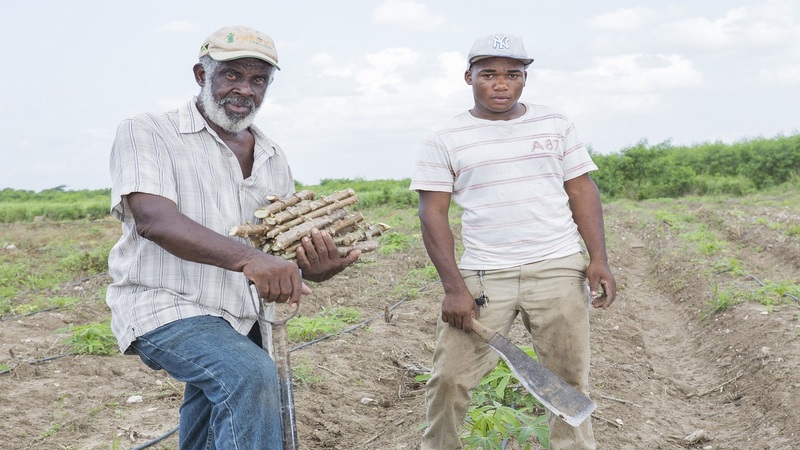 Project Grow farmers interested in planting cassava may also access specialized loans through a partnership Red Stripe has forged with Jamaica National Small Business Loan (JNSBL). Under the Climate Smart Loan, farmers may access up to $5 million and repay within 48 months at an interest rate of four per cent. Farmers hoping to cultivate cassava on a much larger scale can benefit from the Agriculture Loan Special. Through this package, farmers may access up to $15 million at a rate of 9.5 per cent.